These mesmerizing, Van Gogh-like swirls are the latest jaw-dropping photos of Jupiter’s atmosphere sent from NASA’s Juno mission. 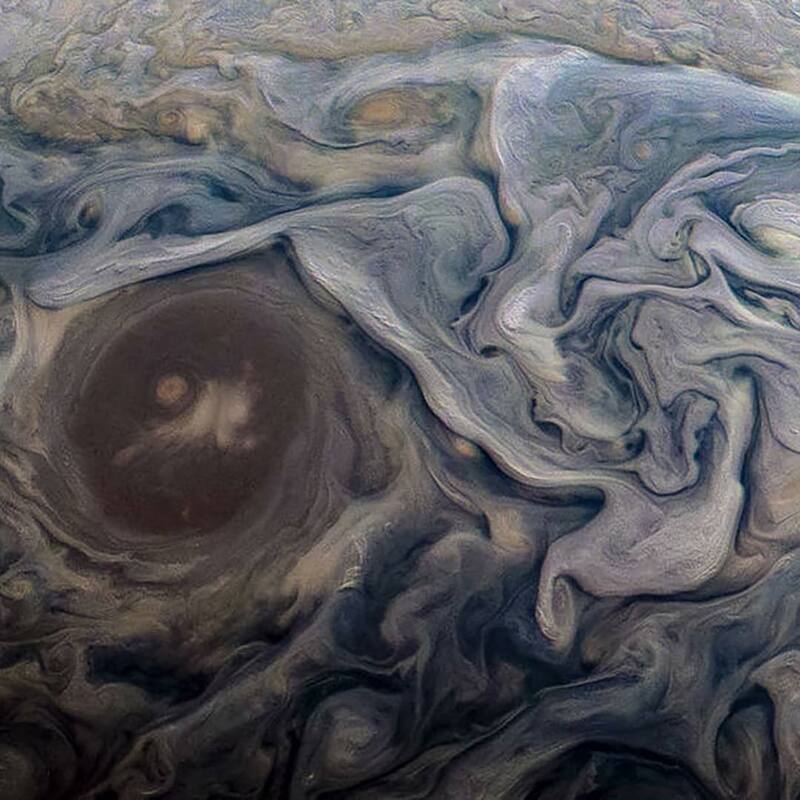 The new photos, which have been color-enhanced and rotated, show clouds swirling around in a jet stream region known as Jet N6 in the gas giant’s northern hemisphere. The Juno spacecraft captured the images 8,000 miles away during a flyby of Pluto earlier this month.